LINIAN is very pleased to announce they have been shortlisted as a finalist in this year’s Inspiring City Awards 2018 in the category of Innovation in Business Award. 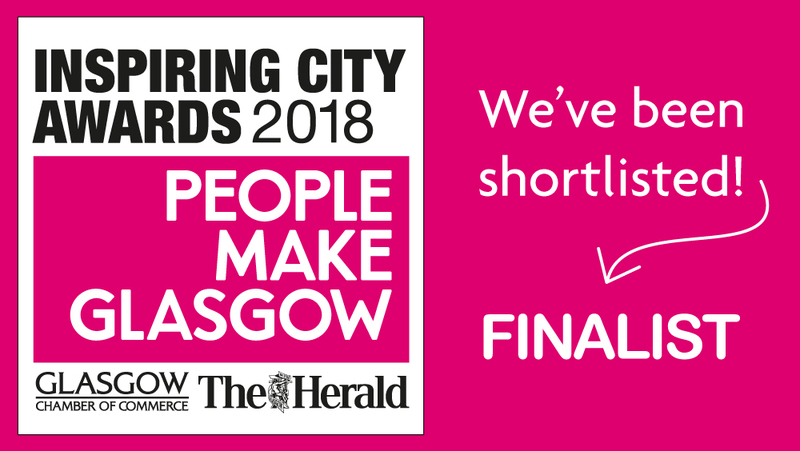 The awards, which are in their six year, and are hosted by The Herald, Glasgow Chamber of Commerce and PEOPLE MAKE GLASGOW, celebrate and reward the people and organisations that make Glasgow great. Glasgow has a long and distinguished history of innovators, pioneers and traders who have made their mark on the world stage. So why are LINIAN up for the award? Lynne Jhangeer, Sales and Export Director at LINIAN explained: ‘LINIAN is a family owned and run pioneering business, based in Glasgow, a country renowned for its extraordinary heritage in innovation, engineering and invention the world over. We specialise in the manufacture of a specialist fire rated cable clip, the LINIAN Fire Clip, which makes cable installations faster, safer and simpler throughout the built environment. We believe we have revolutionised a vital building component. We champion safer working practices throughout the UK to ensure that all civilians and rescue personnel can escape buildings in the event of a fire – being safely evacuated by ensuring that cables cannot collapse prematurely in buildings and become a tangle hazard. Fire safety should be a right, not a privilege and LINIAN have taken the most innovative steps to ensure that even the smallest components within the design and installation process of a building comply with wiring regulations and prevent premature collapse of cables’. LINIAN is up against Glasgow Taxis, Renewable Parts and our friend Laura at Sticky Heelz. Good luck to all those in our category and see you there. The judges include Ann McKechin, Head of CSR, Corporate Communications at Scottish Power, Ian McConnell, Group Business Editor at The Herald and Times Group, Kim Moran-Hogg, Head of Regional Business Scotland & Northern Ireland at Vodafone, Richard Muir, Deputy Chief Executive at Glasgow Chamber of Commerce and Susan Deighan, Director of City Marketing and External Relations at PEOPLE MAKE GLASGOW. This year’s winners will be announced on Thursday 6th September at the Marriot Hotel, Glasgow.